Services - Cross Limits Logistics B.V.Cross Limits Logistics B.V.
As one of Rotterdam’s leading logistic services providers we are active in a field we have been in for many years. Cross Limits Logistics B.V. delivers highly flexible solutions in the field of European export and import, for any type of cargo, in whatever transport mode required. Cross Limits Logistics B.V. offers a single source to manage your global transportation and freight, giving you the capacity to extend your business reach. Besides that, its sister company, DistriRail B.V. can execute just-in-time deliveries supported by efficient pre and on carriage via rail and road. Via our dedicated clearance department we help you to move your goods smoothly through customs and onwards to their final destination. Besides that, Cross Limits Logistics B.V. recognizes your need for in depth knowledge on both a global and a local level. For this purpose, Cross Limits B.V. dedicated staff in Rhoon cooperates with a European network of dedicated agencies and representatives. Through our extensive network of rail, barge and truck operations we, Cross Limits Logistics B.V., can offer connections for both your containerized as conventional flows for practically all origins and destionations within Europe. This includes around the clock transportation, contributing to a 24 hours economy and moreover to the demands of the industry. Cross Limits Logistics B.V. is executing just-in-time deliveries supported by efficient pre- and on carriage concepts, connecting main ocean and airports with all major economic hinterland regions. Our Road, Rail & Barge Logistics are supported by sophisticated web-based tracking and tracing capabilities, along with our in-depth local market expertise and competitive pricing. Furthermore the Group has several subsidiaries/sister companies who solely concentrate on multimodal transportation. Despite increasing barge (inland waterways) and rail solutions, trucking or road haulage still remains the main mode of transport within Europe and the world. Cross Limits Logistics B.V. is able to act as an intermediary for the various types of road transport: containers, trailers, packaged goods and dry bulk products. If needed we can provide transport solutions via container-chassis, kipp-chassis, tautliners, open/closed/tilt/semi with tail lift / low-loading and mega-trailers. We solve time-critical challenges by creating the best solution in full Truck Load (FTL) and Less than Truck Load (LTL) flows. Another specialization is transport for the heated, cooled and frozen product sectors, who use this modality due to the fact that road haulage is giving the shortest leadtime to final destination or origin, this although other modalities are gaining interest. Cross Limits Logistics B.V. uses the most modern techniques and means of communication available, to keep our cliets up-to-date with the status concerning the loading or discharging of their goods to final destination. Rising fuel costs, toll charges and drivers wages as well as increasing congestion, inadequate infrastructure and a drive for lower C02 emissions, continue to be the catalysts for change in the world economy.More and more forward-thinking businesses with their fingers on the ‘green’ logistics pulse, are switching to our pioneering and cost-effective intermodal solutions to move their goods smoothly and in a reliable and sustainable manner. 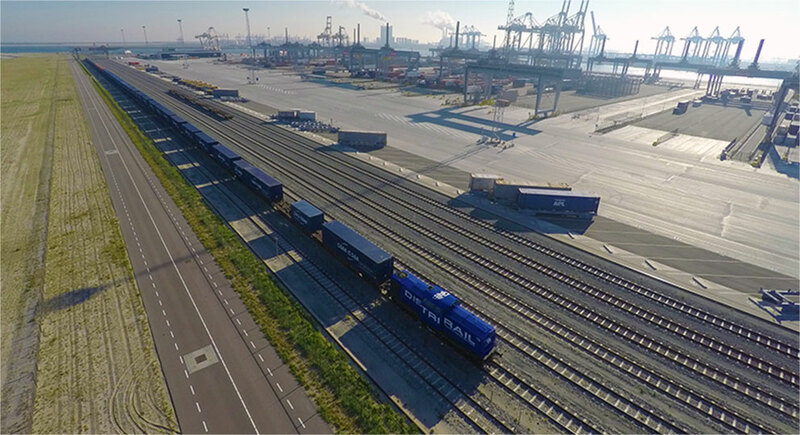 Due to this development our sister company, DistriRail is already operating as from 2nd of July 2009 a reliable connection between Rotterdam and Duisburg v.v., with a flow of over 400 TEU (unit measurement for containers) per day. DistriRail also offers several other rail connections to Neuss, Germersheim and Woerth. This enables Cross Limits Logistics and their clients to benefit from the diverse rail connections with competitive rates and superb services. Cross-Limits offers tailor-made solutions for all customs activities, geared for specific market segments and company sizes. We can help your organization to process customs formalities both within and outside the European community, or even at your premises. This department is a separate organization within our group, which ensures a 100% neutral position of this in-house specialist. Furthermore it also explains why the client portfolio of this department consists out of Exporters, Importers, Forwarders, Trucking companies, Inland terminals and Shipping lines. Lean supply chain management should be considered by businesses who want to streamline their processes by eliminating waste and non-value added activities. Companies have a number of areas in their supply chain where waste can be identified as time, costs or inventory. We at Cross-Limits understand the importance of delivering on our promises. Through constant monitoring of internal and external work-flows we provide visibility and management control of the complete end to end supply chain. Cross Limits Logistics B.V. stands for reliable and complete taking care of container transport across the European inland waterways. We work with an extensive and dedicated hinterland-network through which on-time transport is guaranteed from A to Z. 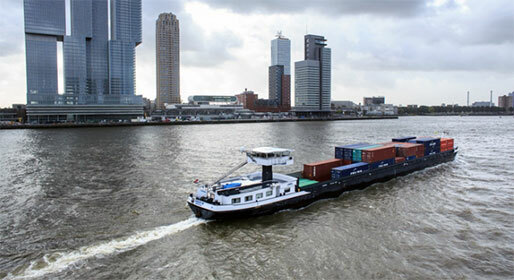 The Rotterdam and Antwerp ports are ideally situated on the estuary of the rivers Rhine and Maas. This makes environmentally-friendly and reliable transport by inland shipping possible, far into Europe. This apples to all types of goods: from containers to dry and liquid bulk. Our Procedure is to work as much as possible with fixed windows at the seaports of Rotterdam and Antwerp, this with dedicated barges to get the best possible connection with the European hinterland. At present about 40-45 % of the goods in the port of Rotterdam and Antwerp, travel by freight barge to the European market. Journey times vary from less than a day for destinations in Germany and Belgium to 4 days for destinations in Switzerland. Our full range of logistic activities included the pick-up of containers at the seaport by barge, handling and storage at the inland terminal, and delivery or pick-up to the final destination/origin.